The brand new Coolster 3050D quad is a mini-scale ATV designed specifically for off-road fun. This streamlined vehicle, powered by a dependable 4 stroke 110cc motor, tops out at speeds of over 35+ miles per hour (depending on rider's weight and terrain). The durable double A-arm Front Suspension, Single Rear Suspension and improved engine design will ensure a ride that is a cut above. From the rugged contours of its body, to its knobby tires and aggressive stance, every aspect of the ATV-J011 screams to be admired. 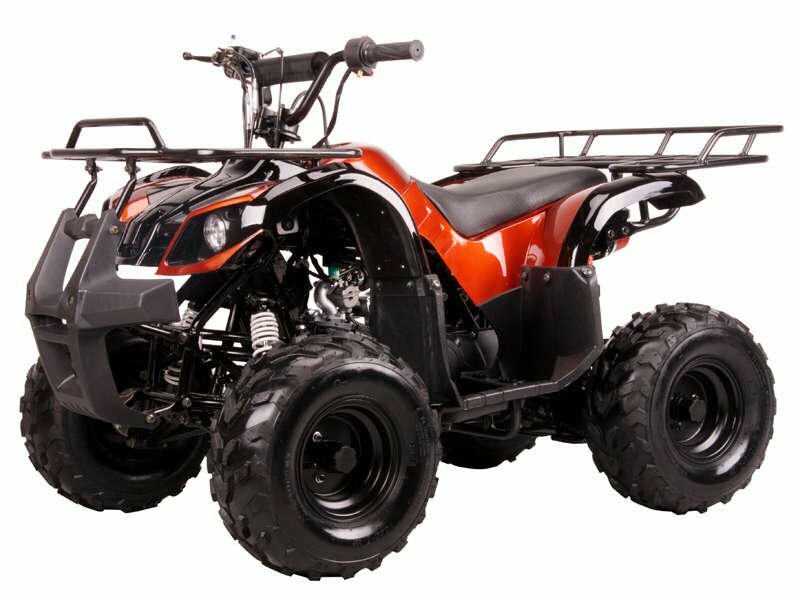 This ATV lightweight and low maintenance make it perfect for casual yard, field, and trail destruction. It will be safe along with the right size for growth. Available in Army Green, Army Black, Army Pink, Metallic Red, Black, Blue, Green Camo, Spider Red, Spider Black, Spider Blue.